Prototype flying cars are everywhere. It would seem our “Jetsons”-esque future is just around the corner. Last week, Rolls-Royce wowed the crowd at Hampshire, England’s Farnborough International Airshow with a stunning vertical takeoff and landing concept. This is the latest in what has become a steady parade of flying car ideas. They are all cool, and completely unrealistic. Admittedly, the Rolls flying car is bewitching. The British maker of jet aircraft engines claims the finished vehicle will be all-electric, and able to whisk five passengers at speeds of 250 mph for 500 miles. Rolls-Royce is developing a hybrid electric “flying taxi” that can take off and land vertically. The Derby, England-based company is also researching all-electric planes. That would get two couples and their pilot from London to Paris and back. 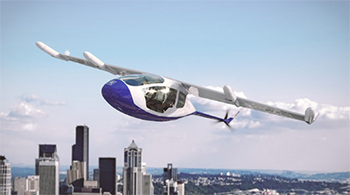 Because the vehicle will use quiet electric engines for propulsion and a rotating wing for vertical liftoffs, Rolls managers see a market in densely populated urban centers. The idea is similar to Vahana, an Airbus project that began in 2016. To get the tech right, the European aerospace giant took the unusual step of pairing with A3, a Silicon Valley startup. Together, they are building drone-like aircraft that will eventually hop autonomously from one city rooftop to another. Airbus will have a lot of competition. Uber unveiled its concept for rooftop hopscotch in May. It’s not surprising that this field is crowded. Electric batteries are getting better. City traffic is stifling. And many of the brightest minds in tech grew up watching reruns of George Jetson, a Hanna-Barbera animated character, flitter about Orbit City in his flying car. It’s too bad that none of it is coming to the masses anytime soon. Don’t blame technology. Information technology is accelerating at breakneck pace. Software and robotics developers are close to solving self-driving cars. Today’s prototypes can safely navigate crowded streets, share the road with lousy human drivers, and skirt cyclists and pedestrians. Flying the mostly wide-open skies ought to be a cinch. The problem is logistics, and gravity. Beyond the wow factor, there is no public appetite for millions of flying cars that will inevitably break down, and plummet to earth. And do not forget the national security concerns. That is the dystopian future not represented in slick, aspirational science fiction movies. Development of new flying vehicles is likely to be highly regulated, and niche-oriented. Like today’s helicopters, they will courier the rich and famous from the city to their homes in the Hamptons. Investors should instead focus on the massive transition in earthbound cars to electric, self-driving fleets. These vehicles are going to be mass-produced. There is both political and public will. In 2017, the National Safety Council estimated that automobile fatalities topped 40,000 for the second-consecutive year. Ninety percent of these were the result of human error. Ultimately, removing that error is about processing data. Lots of data. In 2017, Intel (INTC) managers estimated that every self-driving car will generate 4 terabytes of data every 90 minutes. Vehicles must respond immediately to sensor inputs. This means most of that information will need to be stored and processed at the edge of the network. You might not think of it as a budding self-driving car play. However, as vehicles begin to transition to autonomy, original equipment manufacturers are likely to buy Seagate gear to reliably store data at the edge of the network. In the interim, Seagate managers have built a solid business supplying storage products to PC buyers as well as gaming, consumer electronics and enterprise customers. In the third quarter, ended April 29, the company produced cash flow of $588 million, up 31% year-over-year. 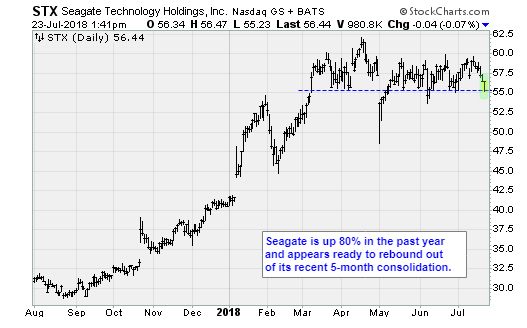 During the first nine months of its fiscal year, Seagate’s cash flow from operations is $1.6 billion. The price-to-earnings ratio is only 20. The market capitalization is $16 billion. That’s $6 billion less than Western Digital (WDC), its chief competitor. Seagate is not going to make a lot of money from flying cars. Then again, nobody is for a quite a while. Buy and stow away the stock on pullbacks. Musk is right, will never happen unless future technology has a perfect avoidance system built into each vehicle.